After serving a wide variety of Thai ice cream rolls out of a food truck in McAllen, Rolling with Cream is moving to a brick and mortar location, with help from a $7,500 local grant. 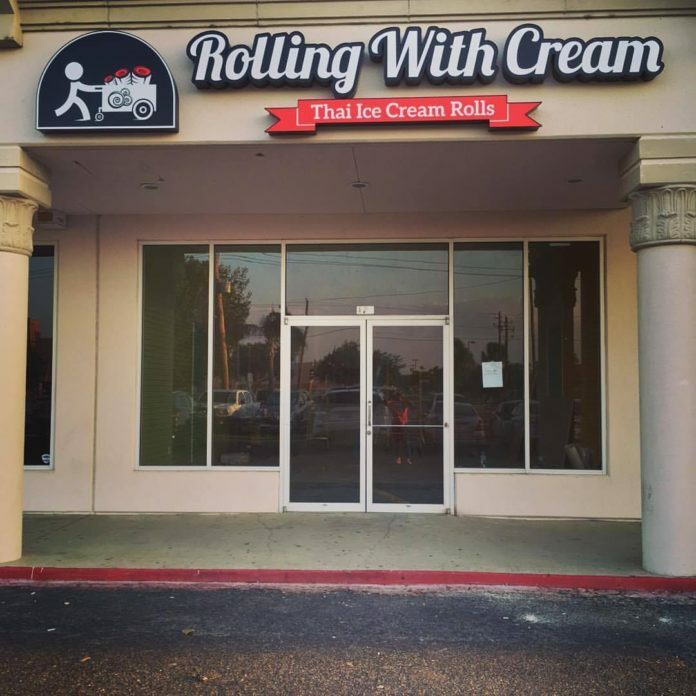 Rolling with Cream has been successful in the McAllen food truck park, Chamber President Steve Ahlenius said. It will now, with help from the grant victory, move to a permanent location on Nolana Avenue. The goal of the business plan competition grant is to take a concept that is close to being full-time to actually becoming exactly that. “Usually to buy equipment, for legal, signage, that kind of stuff,” Ahlenius said of the how the grant money is used. PJ Pie’s, a local pie company located on McColl Road just south of Dove Avenue, was awarded the grant two years ago. A separate grant program, called the Innovation Grant, which is fully funded by the chamber, is to help people take an idea from concept to marketplace. The chamber awarded more than $40,000 to six projects. The six include EcoTeck Block, which is a construction block made of recycled plastic; Mirta, which is a pom pom purse used to carry items to a sporting event; Ranvu, which is a mobile app that provides on-demand grocery services; Tag U, a business card mobile app used to store business card information; Trusty, which is a pad that replaces catheters for the prevention of bed sores; and Wifi Stand, which is a way to get Wi-Fi when you need it. The grant aims to stimulate innovation in the McAllen area.